Images on this page may not be reproduced elsewhere without written permission. Songwriters Speak had two fantastic launch events  a music industry party in Sydney and a literary festival launch with musical performances in Byron Bay. 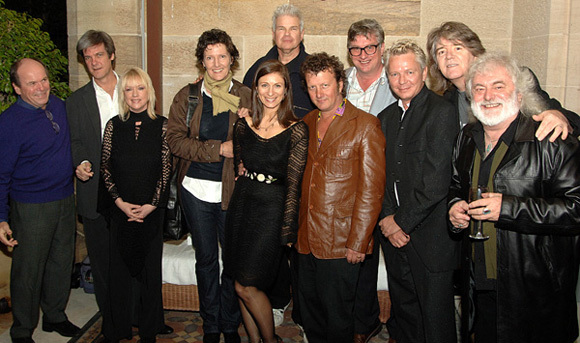 Debbie Kruger, Todd Hunter, Martin Plaza, Greedy Smith, Iva Davies, Jim Keays and Brian Cadd. Glenn and Jo Shorrock generously offered their home for the Sydney launch, which took place on Tuesday 2 August, 2005, and what a night it was! Glenn gave the official launch speech to a crowd of around 90 invited guests, including songwriters, music publishers, record company execs, media and good friends. Click on the thumbnails to see larger versions of photos from the night, most of which were taken by the wonderful Bob King, photographer supremo. After the Sydney launch it was straight up to Byron Bay to participate in some panels as a guest of the Byron Bay Writers Festival. 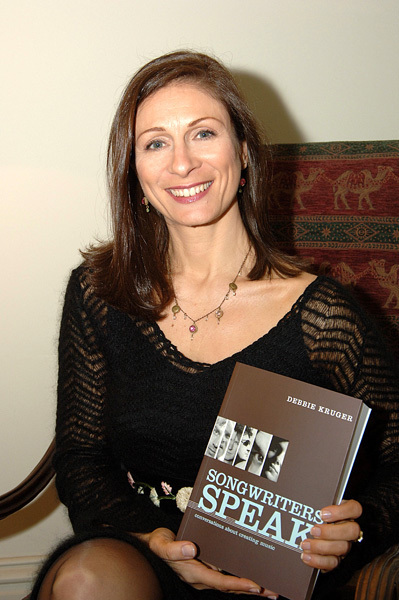 There we celebrated the literary launch of Songwriters Speak. Rob Hirst (of Midnight Oil and elsewhere) gave a warm and heartfelt speech and he had a sing, as did Deborah Conway and Willy Zygier. We were joined by other writers, festival attendees and a bunch of my old Byron friends. You can find out more about the festival by clicking the logo on the left. For a great report on my Byron Bay Writers Festival launch, click here. To visually experience some of the festive event, click on the thumbnails to see bigger pictures.